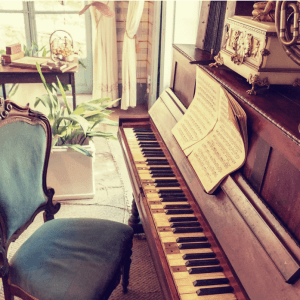 Missed lessons are an inevitable fact of a piano teacher’s life and a written private music lesson cancellation policy that you can give to your students and their parents is therefore essential if you want to run your piano teaching business effectively. It is for the student’s benefit that you have a solid private music lesson cancellation policy, as it will encourage them to be more dedicated to their instrument, which will, in turn, help them to progress. Not having a private music lesson cancellation policy will increase the probability of chaos in your schedule as your clients will miss make-ups and begin to request extra make-ups at inconvenient times in addition to refunds for multiple missed lessons. In presenting your music studio policy template it should be legible, concise, and matter of fact yet polite in tone. You should determine a means of delivery so that each parent receives it and also go through it with them to ensure they read each provision. While your private music lesson cancellation policy will not account for every issue, most of your clients should be able to follow it and unforeseen problems can be dealt with as they occur. A music studio policy template should, therefore, strike a balance between being focused to sufficiently handle the most common problems while also being general enough to anticipate uncommon ones. In terms of general policies, it is a good idea to define your schedule, payment method, missed lessons policy, and cancellation of tuition policy. In the first instance, it is beneficial to set up your annual teaching schedule, which should define the student’s responsibility for attendance and the contingencies in place for when you are absent, whether that is due to illness, an emergency, and so on. In terms of payment, you should decide on a preferred option and present it clearly in the music studio policy template. By ensuring that you are paid in blocks rather than per lesson you will protect yourself from the risk of non-payment. Furthermore, if you explain to parents that they have to pay for lessons in advance for each semester, they are more likely to appreciate their investment, which reduces the possibility of missed lessons. This type of payment option can also be more popular as clients perceive it to be less of a financial burden compared to annual tuition payments. Your music policy template can also inform them of how their payment covers much more than just timed lessons and also includes recitals, lesson materials, and opportunities to attend festivals and competitions. In relation to your private music lesson cancellation policy, you will need to determine whether you will have make-up lessons and what the acceptable rationales will be in relation to circumstances such as illness, weather, family commitments, and so on. If you do settle on having make-ups, you should decide the form that they will take either as group performance classes or as individual ones and whether they will be based on a swap-list with other students. In addition, you may want to set a limit of two cancellations for every five lessons within a term and establish a time limit as to how long the make-up lesson will remain open. Your music studio policy template should also set out an acceptable notice period. Twenty-four hours’ notice is generally a good time frame though you may want to set your own according to your preferences. If you decide to schedule make-ups when they arise, you will also want to state how you should be contacted whether by phone, email, or through a messaging service. However, this can present problems down the line when you are trying to accommodate and keep track of student availability for different lesson times. 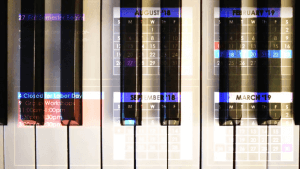 On the other hand, you can make life much easier for yourself if you establish a pre-determined make-up schedule in your music studio policy template. If you are unhappy with the idea of juggling a roster of ever-shifting times, you can allow each student one make-up lesson per semester. In addition, it is possible to set them at particular times to discourage cancellations, such as the last slot on a Friday or the first slot on the following Saturday. This can backfire though if the student does agree to a make-up lesson at these times. 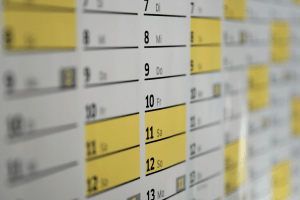 Another approach to cancellations is to have monthly make-up days, which involves scheduling make-up lessons on the last day of each month. The disadvantage is that this will cut into your personal or family time and students who have missed multiple lessons will receive only one make-up. An alternative method is to provide make-up lessons during the first week of the break following the end of the semester. In this way, students who have canceled several lessons will be able to catch up with an equivalent number of makeups while other students will receive an extra free lesson. However, the same drawback remains in that you will be teaching during what is supposed to be your break. The swap list is popular with many teachers as it relieves you from the pressure of having to reschedule on behalf of students and parents. Following this approach, you can provide the parent with the contact details of students who are participants in the swap list and the onus is on them to reschedule. However, be sure that you have the permission of other parents to include the names and phone numbers of those participating students. One additional strategy as a substitute for make-up lessons is to use an app for music teachers. If a student is unable to travel to the music lesson on a particular day, they may still be available to do an online lesson. 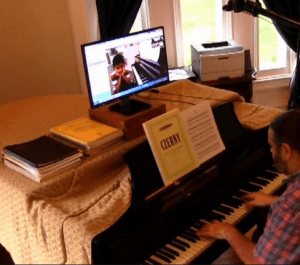 A music practice app that allows you to communicate with students in an online environment is an ideal solution and one which music teachers are increasingly using when their students are abroad or when weather, road conditions, and illness among other factors prevent them from attending lessons. Certain students will discontinue lessons and you need to factor this into your private music lesson cancellation policy. For example, it is advisable to determine a period of notice if your student cancels their tuition halfway through the year. A deposit based on this notice period can then be taken at the start of the teaching year as a form of insurance for this kind of situation. Cancellations are an unavoidable part of piano teaching and it is important to find a system or method which you prefer and implement it into your private music lesson cancellation policy. 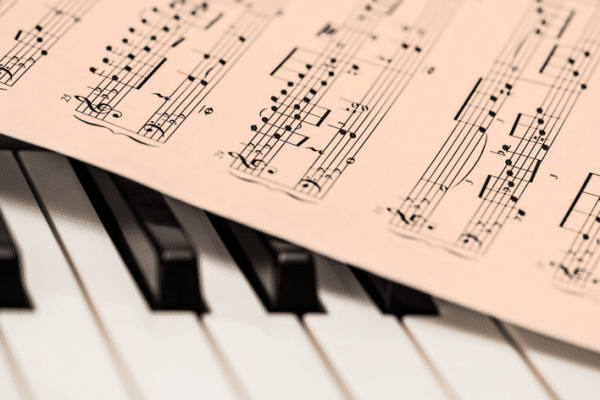 A music studio policy template plays a crucial role in maintaining a professionally run piano teaching business while also helping to alleviate the quintessential scheduling problems that befall piano teachers. Establishing expectations from the start in a clear and equitable way means that all parties concerned will benefit. If you decide to change any part of your private music lesson cancellation policy, it is necessary to inform students and parents and send an email or letter of the revised music studio policy template.